« Job title – Head of Crayons ….. If you walk into a nursery school, you’ll notice a lot of kids laughing and asking questions. If you walk into a large company, you’ll notice a lot of people frowning and shouting answers. 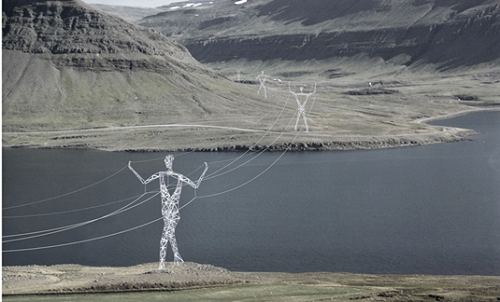 Photo note: In future, Iceland will be installing these "people pylons." Aren’t they fabulous? Happiness, fulfillment and even enlightenment come from having wonderful relationships where you’re not afraid to be wrong, have no ego and have a burning desire to be of service. Let me ask you a question. What’s your defense budget? How much energy do you spend in your defense reacting to criticism, protecting your point of view and trying to prove that you’re right? Sometimes the humility and vulnerability of admitting that you don’t know the answer or avoiding conflict, is far more endearing than the self-righteous cult of concrete answers. I put it to you that we’re on this mortal coil to create great services, great products, but ultimately great relationships. And not create something we love simply because we can sell it, but sell it because we love the difference it makes: change a frown into a smile, lighten the workload, or put a spring in someone’s step. When asked why he thought Airbnb had been so successful, Brian Chesky, founder of the $25Bn accommodation provider replied, “I focused on creating something 100 people would love, and not something 1 million people kind of like." I lost a good friend and drinking buddy last weekend in a tragic accident ….. he got his finger caught in a wedding ring. And the Lord said unto John, "Come forth and I will give you eternal life." 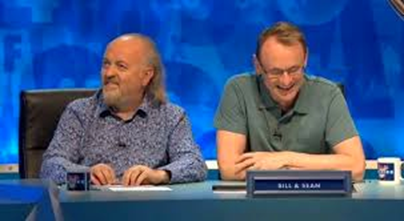 But John came fifth and won a toaster. This entry was posted by admin on October 4, 2015 at 7:31 am, and is filled under Sunil Bali, The Art of Awesome Living, The Book of Awesome Humour. Follow any responses to this post through RSS 2.0. Both comments and pings are currently closed.